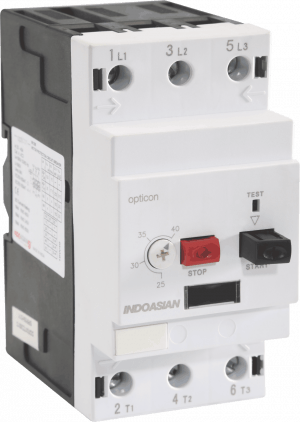 With a rating from 0.1A to 80A, the Opticon MPCB has a breaking capacity of 100kA, and conforms to the IEC 60947-2 standard. A complete list of accessories includes auxiliary contact, auxiliary alarm, shunt trip, undervoltage trip, and enclosure. The clear product label contains all the technical information needed for easy installation and maintenance.